Bhupen Hazarika was concerned about Assamese people turning into a minority due to large-scale migration from across the border. Two days after Prime Minister Narendra Modi said Bhupen Hazarika should have been awarded the Bharat Ratna while he was alive, his son Tej Hazarika questioned the timing of the award as the contentious Citizenship (Amendment) Bill 2016 has generated massive protests across the northeast. 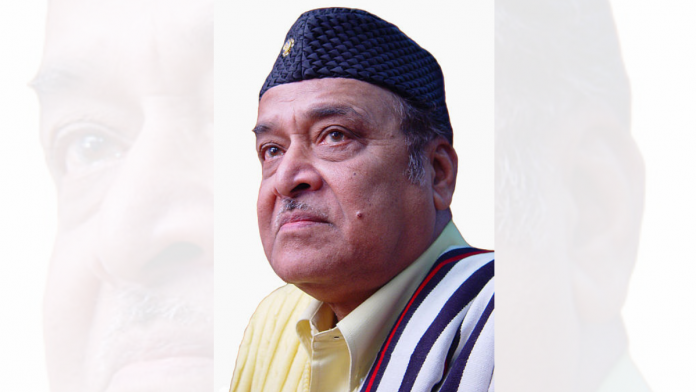 The question that people across Assam and northeast are now asking is – would Bhupen Hazarika have accepted the Bharat Ratna in such a situation if he were alive? Would he have participated in the agitation against the Bill? The issue of Assamese identity was close to his heart, and he would have definitely raised his voice against the Citizenship (Amendment) Bill. But he may not have necessarily rejected the Bharat Ratna. He had not rejected the Padma Shri in 1977 during the Emergency although he was a fierce critic of the regime. Tej Hazarika – the singer’s only legal heir – has also not directly rejected the Bharat Ratna. He also said that he has not received any invitation and that “how the Centre moves on this matter far outweighs in importance the awarding and receiving of such national recognition”, which he called “a display of short-lived cheap thrill”. Tej Hazarika’s statement has, no doubt, given a big push to the agitation against the Citizenship (Amendment) Bill, with a section of the media even interpreting it as a rejection of the Bharat Ratna itself. Three weeks ago, when the government had announced the Bharat Ratna for Hazarika, people in Assam had hailed it, although most said he should have been given the highest civilian award while he was alive. Newspapers in Guwahati saw the timing of the announcement – when the entire region is on the boil with protests against the Citizenship (Amendment) Bill – as deliberate and calculated. Bhupen Hazarika sang songs for humanity, like ‘Manuhe manuhor babey/Jodihe akano nabhabey… (If people do not think of people/who else will? )’ and ‘Agni-jugar firingoti moi/Natun Bharat gorhim (I am a spark of the fire/Will build a new India)’. He wrote the latter in 1940 when was just 14 years old. It was the philosopher in him who wrote ‘Mark Twainor samadhit bohi/Gorky-r katha kalon (I spoke about Gorky sitting on the tomb of Mark Twain)’ and ‘Maha-bahu Brahmaputra Maha-milanor kshetra (The Brahmaputra is the holy confluence of people)’. He had grown up under the influence of two great revolutionaries of Assam, Jyoti Prasad Agarwala and Bishnu Prasad Rava who were both founders of the Indian People’s Theatre Association (IPTA) in eastern India. He was later highly influenced by Paul Robeson and sang ‘We’re on the same boat brother’ apart from having wonderfully adapted ‘Ol’ man river/That ol’ man river/He don’t say nothing’ to ‘Burha Luit tumi/Burha Luit bowa kiyo (Old river Brahmaputra/Why do you flow shamelessly despite seeing millions suffer on your banks)’. He later came up with a rendition of the song for Ganga in Hindi and Bengali. Hazarika was one of India’s greatest global citizens, but was equally aware of issues that resonated among people in Assam and across India. He sung ‘Poddar dhumuhai uruwai nisile/amar sonar ghare-bari/ujani panite saturi palohi/bor-Luitor chapori (Having lost our golden home and hearth in the cyclone on the Padma/We have landed up in a sand-bar on the Brahmaputra)’. The song talked about the plight of thousands who fled to India following Partition. He was vocal about preserving the Assamese identity, and concerned about Assamese (read ‘indigenous’) people turning into a minority in their own home because of large-scale migration from across the border. He wrote about it in 1968, even before the Bangladesh 1971 war broke out that triggered large-scale migration to eastern and northeastern India. His song ‘Ajir Asomiyai nijok nabasale/Asomote maganiya-bhaganiya hobo (If the Assamese do not save themselves/they will become beggars and refugees in their own land)’ prophesied the impending threat to the Assamese identity. What would have Bhupen Hazarika done today when the entire northeast is up in flames over the Centre’s move to pass the Citizenship (Amendment) Bill? The Bill has been perceived by most, including the BJP allies in the region, as one that would open the gates to massive Hindu and Buddhist influx from Bangladesh and reduce the indigenous communities to a minority. Hazarika had played a key role in the All Assam Students Union-led agitation of 1979-85 against Bangladeshi influx. Hazarika, along with noted intellectual Birendra Kumar Bhattacharyya, led a team across the state for several weeks to fire up the agitations. At that time, the government had conferred upon Bhattacharyya the Jnanpith award in the middle of the agitation, prompting many to say that it was a move to woo the Assamese. Bhattacharyya had, of course, accepted it. Hazarika was also at the forefront of the IPTA movement in the 1950s and 1960s, which was considered by the government as a part of the Communist movement. He was never an IPTA member unlike many others like Balraj Sahni, Mulk Raj Anand, Hemango Biswas, Bishnu Prasad Rava. He, however, teamed up with Hemango Biswas to sing songs of harmony between the Assamese and Bengalis during the peak of linguistic clashes in Assam in 1960. He sang about Haradhan (the Bengali migrant peasant) and Rongmon (the Assamese peasant) together living peacefully. Also read: Citizenship Amendment Bill- Atoning for Partition or religion a criterion in secular India? Much later, he joined the BJP and unsuccessfully fought the Lok Sabha election in 2004. He subsequently said that his decision to join politics was a mistake. Bhupen Hazarika was critical of the Emergency years but was awarded the Padma Shri by the government in 1977. “Bhupen-da had written and sung one of the most critical songs against the Emergency in 1977. His song ‘Mukti-kami lakshyajanar mauna prakash sunisa ne nai’ was a direct response to the clamp down on freedom of speech, yet the government did not dare touch him,” said singer-musician Nripen Hazarika, younger brother of Hazarika. “One cannot say if he would have rejected the Bharat Ratna. Tej (Hazarika) in his statement has not rejected it. But yes, Bhupen-da would have definitely stood against the Citizenship Bill. His was always the strongest voice on protection of identity of the indigenous people, not just of Assam but of the entire region,” he said. The author is a veteran Guwahati-based journalist who has reported on the northeast for nearly four decades. He had also worked closely with Bhupen Hazarika in his biggest project, a 26-episode Doordarshan mega-serial called ‘Brahmaputra – An Endless Journey’. An award is given in recognition of a ‘person’s’ contribution, NOT his family’s, and is not meant to glorify the family of the person. Thus, his son has no right to reject the award given by the PEOPLE of India to his father. It is HE who has injected politics into this matter. Perhaps he is anti BJP or anti Modi, and is using this ‘rejection’ to get back on them. Someone tweeted the north east has more diversity than the rest of the country put together. That may well be true. Itna bada kadam soch samajh kar lena chahiye. A small, cloistered world view simply cannot comprehend or deal sympathetically with the pluralism India requires to keep the show on the road. That same feeling comes through for Kashmir as well.